Going back to school means getting organized so that you can stay on top of bed times, homework, and healthy food. Here are some great ideas from parents on what works for them. Sleep experts agree that today’s kids are not getting enough sleep. Lack of sleep leaves kids unable to function properly the next day – they have a hard time staying in control of themselves and making good choices. So how do you keep things on track when your little one can’t tell time? 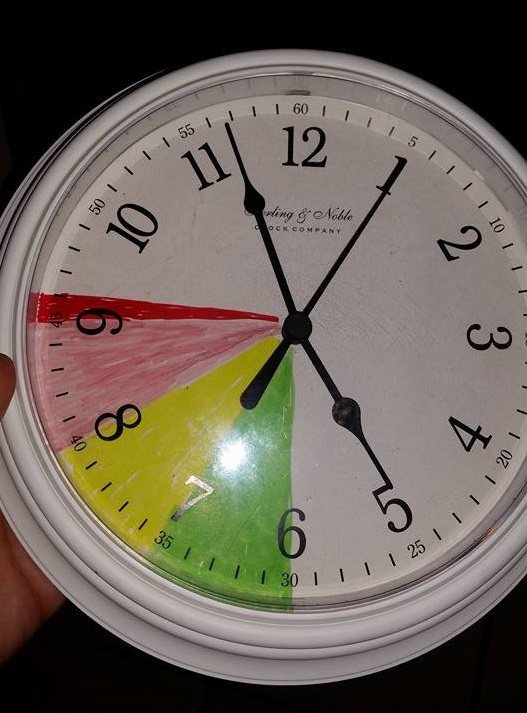 Take a look at this fantastic idea: each color represents an activity (dinner, homework, reading time, bath time) and then when the clock points to the red, kids know not to get out of bed. Makes it easy for kids to know if they’re on track. Organizational experts say it’s important to have a place where everything a child needs to do their home work is easily accessible. That means crayons, pencils, scissors, glue, staples, etc. are all within reach. Ideally, it should be somewhere with a minimum of distractions, as well. Another way to keep things organized is to have a folder for each child. The kids come home and put their papers in the folder for parents to go through. Things that need to be signed and returned can be put back in the folder for kids to take back to school the next day. When time is short, but it’s important to have healthy food in kids’ tummies, being prepared in advance is key. Sometimes taking a few hours on a weekend can save hours of headaches during the week. Cutting up fruits and veggies and keeping them ready to eat will make it easier for kids to make healthy choices. 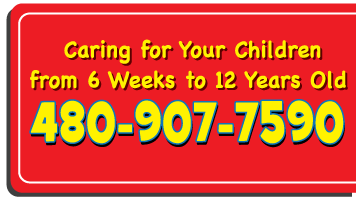 Having a menu planned for a week in advance will also decrease stress levels for both you and the kids. Letting the kids pick their own lunches can also empower and educate them. There are so many resources out there to help parents get organized and keep their kids healthy and happy. Take a look around Pinterest or follow some great sources on Twitter or Facebook. Every week can have new ideas.